Sometimes the stars align in the food world and food-related holidays – or excuses to eat as they are really known – are spaced out nicely. That is not the case this year. Both the Super Bowl and Mardi Gras are in the space of three days. Lord, that is a tall order. We do the Super Bowl at home for who ever want to join us – kind of just to watch the commercials – and we have a pot luck at work on Mardi Gras. So I have to sort out what I am going to do for each. Pensacola has a happening Mardi Gras scene with something like 50 Krewes. (You do know the first Mardi Gras celebration wasn’t in New Orleans, right??). There is a krewe here for just about anyone: Krewe of Lafitte, Mayoki Indians, Krewe of St. Patrick, Krewe du Ya Yas, Pyrates of Perdido Bay, Krewe of Divas, Krewe of Wrecks. The festivities start, usually, the first week of January around 12th night, and continue through till the real Mardi Gras – yep – Fat Tuesday. There are masquerade balls, loads of parades and just a general party atmosphere that gets us through the worst of “our version”of winter, which I am aware is not a real winter. Yes yes, I understand – we don’t have winter. This year Mardi Gras is bloody-friggin’ early – hence the collision with the Super Bowl. Tonight is the Krewe of Lafitte lighted parade downtown and tomorrow is the big Pensacola Grand Mardi Gras Parade. Sunday is the Wrecks Pensacola Beach Parade. Lord only knows what will happen on Tuesday, but I’m hoping a Bloody Mary will be involved. Sun-dried tomato pesto torte – I always ask the office what they want me to make. And it’s pretty much always this. Fine with me. I love it. And I get it twice this week – score!! When we moved to Pensacola in 2003, we had no idea how many festivals take place throughout the year. Because of the climate, we have festivals basically year round. One that we first went to was the Great Gulfcoast Arts Festival which takes place annually in early November, usually the first weekend. There are all kinds of very beautiful things (read: expensive), from jewelry, pottery, wood turning, paintings, photographs, just as you would expect in an art show. In addition to this the GGAF has a space for what it calls Heritage Arts and this tends to be my favorite part of the festival, well, that and the liquid refreshments. Guys serving champs in tuxedos – cool. It was at the 2003 Arts Fest that I first met Mr. Weyer. He and his wife are from Iowa and I can understand why they would want to be in Pensacola in November instead of in Iowa. Totally get it. He was hand crafting spoons and other kitchen items out of Iowa hardwood that has been air-dried for at least seven years. It was fascinating to watch him make spoons on site, and the spoons were beautiful to hold and seem to fit perfectly for me. So I bought a couple. I use them all the time, especially when making pasta sauce or working on a chutney recipe. They just feel right when you use them. It is hard to explain if you have never had a hand-made spoon like this. They are balanced, but sturdy. So it became a thing – go to the GGAF, look at all the art (?) and then buy a couple of spoons from Mr. Weyer and his wife. All of the spoons have the year on the back and Mr. Weyer’s initials on them so for many years I would pick up one or two. The only year we did not was the year of Ivan (2004) because there was no Arts Festival that I remember. My collection is pretty complete now, but I do stop by and look each year just to see if there is something new that I must have to add to the bunch. This particular spoon was damaged (chipped and put in the dishwasher – thanks to the Boy) and I took it to Mr. Weyer and said, can you fix it. And of course the answer was, duh, yes. And he did. This is just one of those recipes that is good, but not terribly stylish – it’s pretty blah to look at. Yes, beige. I feel bad for the Man of the House. He’s a great photographer, but I’m afraid I don’t give him much to work with. My food can be white, beige, and boring looking. Slightly off topic, I made homemade buttermilk ranch dressing – it tastes wonderful, but it’s blah. Will one day get a photo that makes it look good, but I’m not sure when that will happen. Sigh. 1/2 recipe, instead of ketchup used chili sauce, used Dijon mustard, toasted thin sliced rye bread instead of cocktail squares. Preheat oven to 350 degrees. In a large mixing bowl, mix half the Swiss cheese with the next six ingredients. Place mixture into an oven-proof dish and sprinkle with remaining cheese. Bake in the oven until bubbly, about 20 minutes. Turn on broiler and brown the top. Serve the dip with bread squares. Winter – in general – root vegetables and even better, citrus! Super Bowl – it’s sort of an appetizer version of Thanksgiving in early February. Valentine’s Day – a stupid holiday created by Hallmark, but still another excuse to cook, usually sweet thing that make me slightly sick. Can you tell, I’m not a fan?? Mardi Gras – this is our regional thing, but I’m not one to turn down King Cake. Did you know that it was Mobile, AL thing before a NOLA thing? 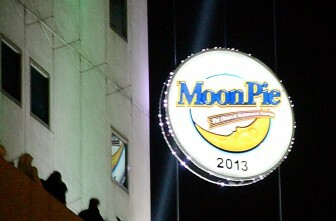 Shout out to the Moon Pie! St. Patrick’s Day – bring on the Guinness and whatever else you would like that might be remotely Irish. We all want to be Irish, even though I am Scottish. Spring – in general – time for asparagus, fresh peas, you know – green stuff that’s good for you. Should be boring, but it isn’t. Easter/Passover – again, peas, asparagus, eggs, and ham. I know I’m not a good mom since The Boy has never dyed eggs at home. Mother’s Day – take someone out for a mimosa for brunch, You wouldn’t catch me dead at this experience because this is, yet another, another holiday created by the card industry. It also tends to screw up my birthday plans – ugh. Memorial Day – it’s the beginning of summer – picnics, backyard grilling, and beer. An extra day off work. What more do you want? Summer – in general – salads, lemonade, more grilling and if applicable end-of-year school parties. (Regional) Blue Angels’ Weekend – the above, but at the beach. August – no one eats in August, it’s just too damn hot. And we are tired of salads and grilling. Labor Day – the last hurrah of summer, grilling, really good tomatoes, and more peppers and basil. Fall – in general – fall is strange in NW Florida. Advertisers try to make something out of fall, but really, it’s still just summer mostly. Halloween – all kinds of sweets that make my teeth hurt to think about, and pumpkins and other assorted squash. But another excuse to make something different and it might just be cool enough to do some real work in the kitchen. Thanksgiving – the food holiday to end all food holidays. A couple of weeks planning, and then you still make the same damn thing you always make. Sweet Potato Casserole anyone? It is excellent and that is true. 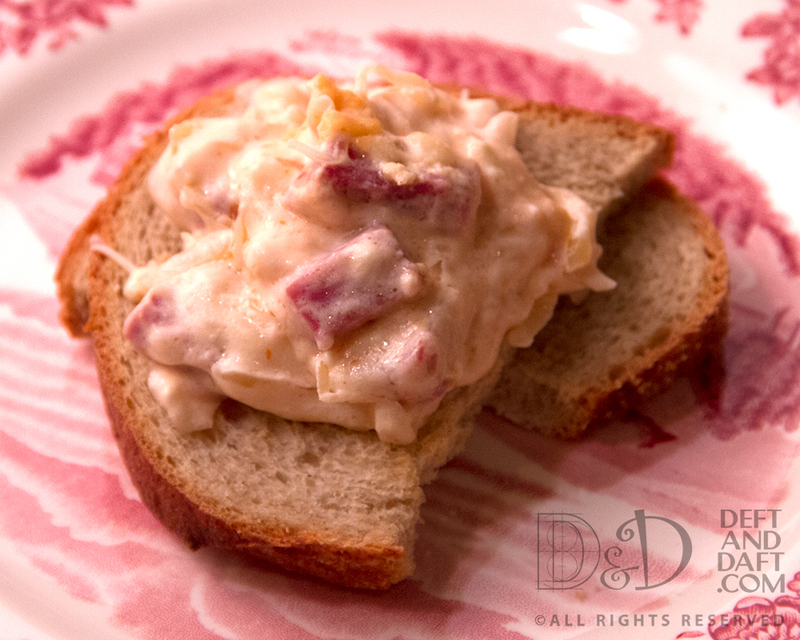 Christmas Eve – easy appetizers for Christmas Eve night. Last few years, this is fondue night – it really works for Christmas Eve – at least for me. One of our favorite things ever. Bread and Cheese – yep I’m there. Christmas Day – depending on where we are, this can be a mini Thanksgiving or something totally different. New Year’s Eve – Again, just an appetizer event – my favorite kind of meal. New Year’s Day – Eggs Benedict for brunch and then left overs for lunch/dinner. And mimosas – you know – it’s the new year. and then we start all over again, if we’re very fortunate.